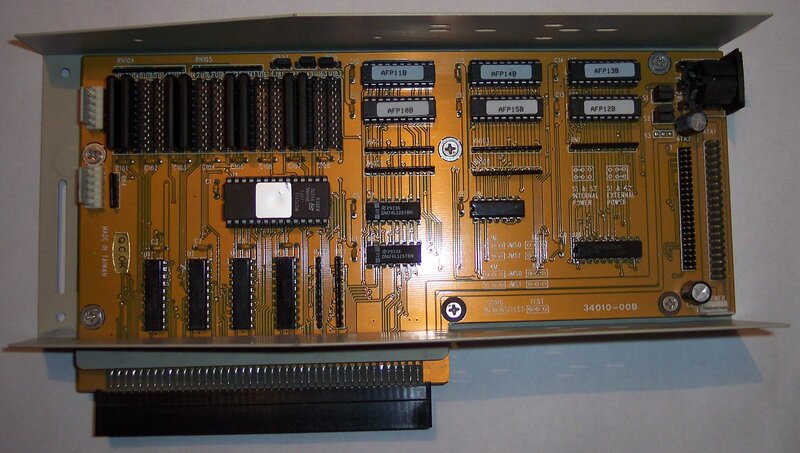 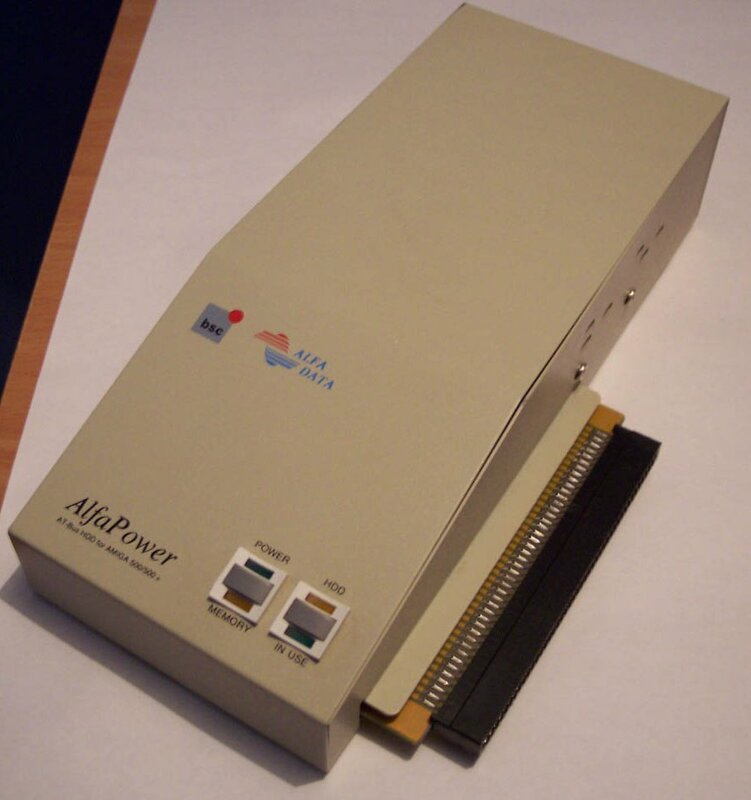 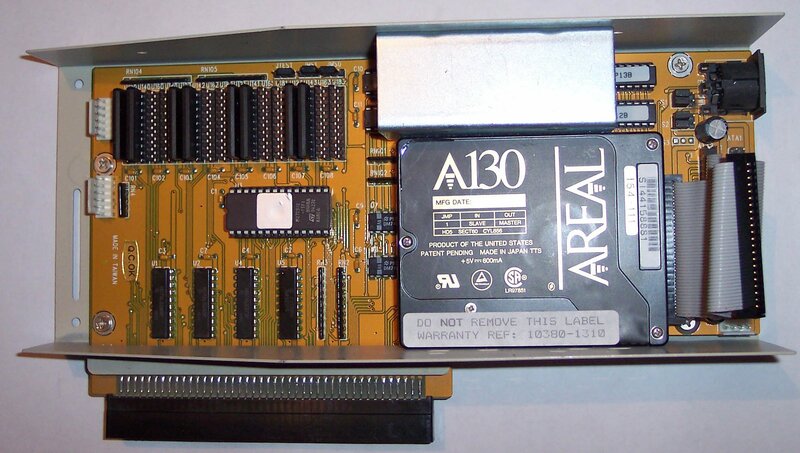 An IDE controller which connects to the side expansion slot of the A500/+ which requires at least Kickstart 1.3 and 512k of RAM. 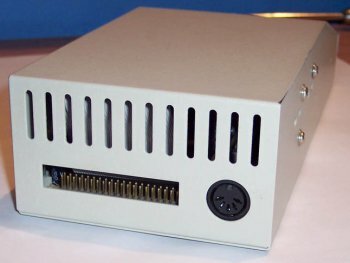 The unit contains both a 3.5" header and a 2.5" header for up to two IDE drives. 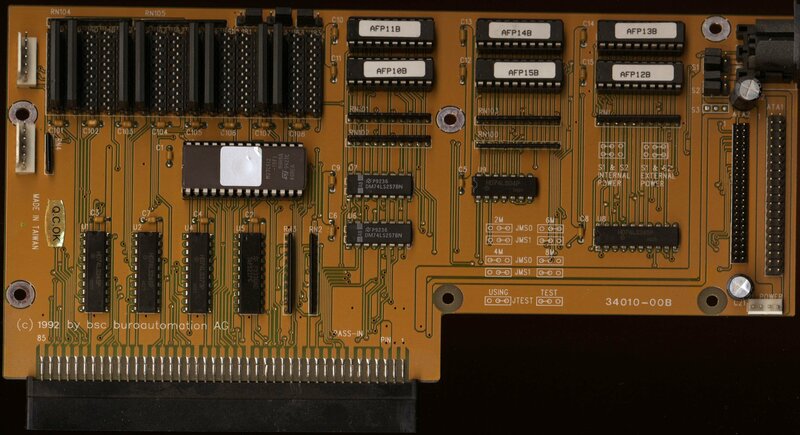 The unit also supports additional memory up to a maximum of 8MB in the form of ZIP Chips, or 72pin SIMMs depending on the version you have. 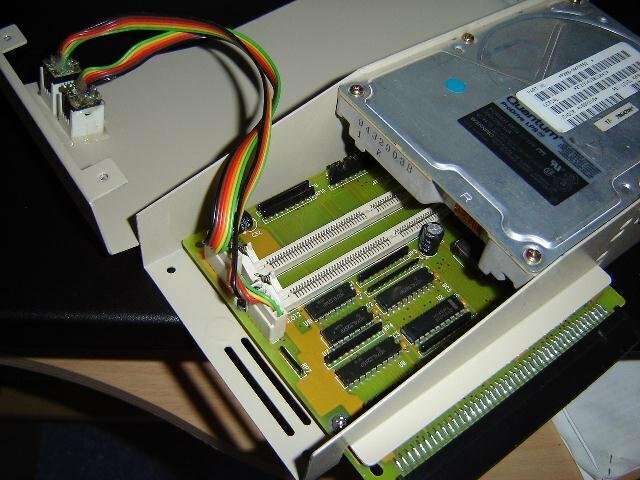 Supported memory configurations are 2/4/6/8MB using up to 16 1024x4bit DRAM ZIPs which must be faster than 80ns. 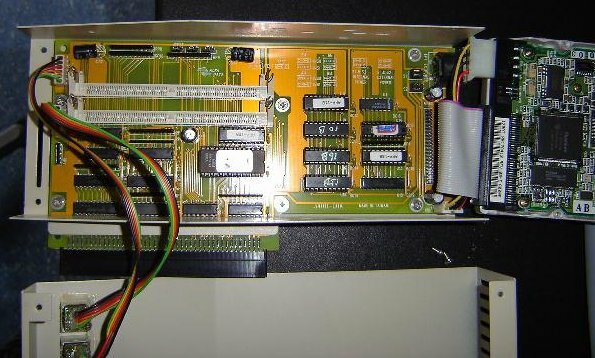 The front of the unit contains two buttons, the left button disables or enables the RAM whilst the right button disables or enables the IDE controller. 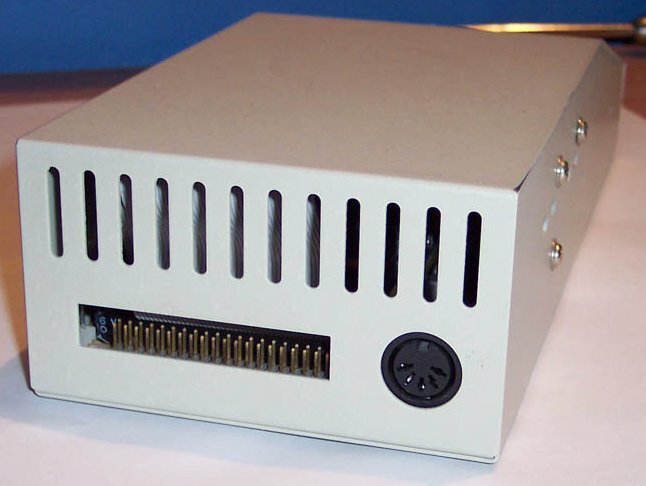 The rear of the unit has a power connector for an optional external power supply, as well as access to the 3.5" IDE header for attaching an externally mounted hard drive as there is only sufficient room inside the case for mounting one drive. 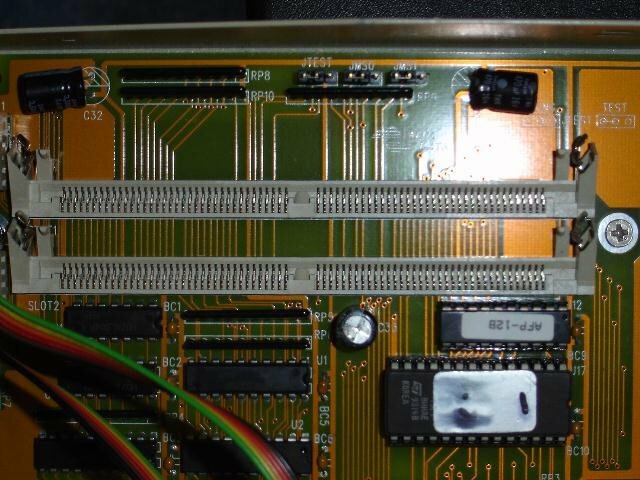 Jumper descriptions are printed on the motherboard.